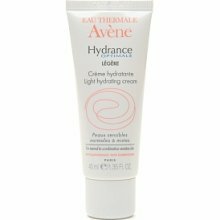 This lightweight moisturizer provides long lasting hydration and absorbs excess oil for a shine-free finish. - Benefits:Helps dehydrated skin regain smoothness and luminosity. - Restores the hydrolipidic barrier. - Recommended for normal to combination skin that is sensitive. - Formula is paraben free, hypoallergenic and non-comedogenic.